Save 15% on starter kits and value kits! 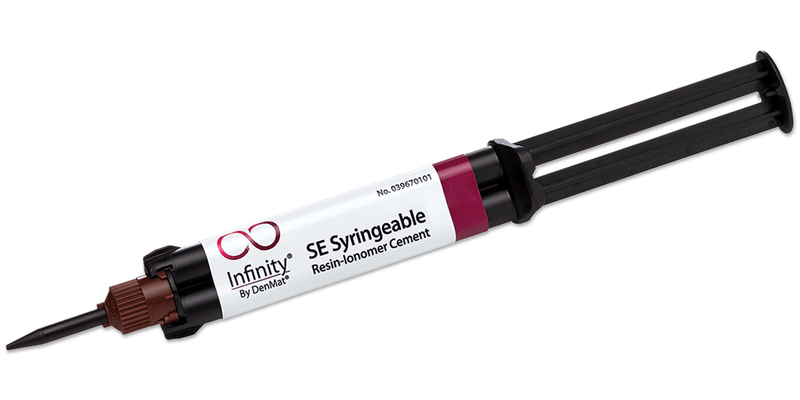 Self-etch formulation of Infinity Syringeable dual cure, self-adhesive resin ionomer cement. Recommended for all-porcelain, zirconium, metal and ceramic-metal crowns and bridges, inlays and onlays, posts, and ortho bands and brackets. Fluoride-releasing and radiopaque. Contains: 1 x 10g syringe, 20 automix tips, 3 curing rings. Contains: 3 x 10g syringes, 60 automix tips, 3 curing rings. Mixing tips have a brown hub and dark brown barrel.